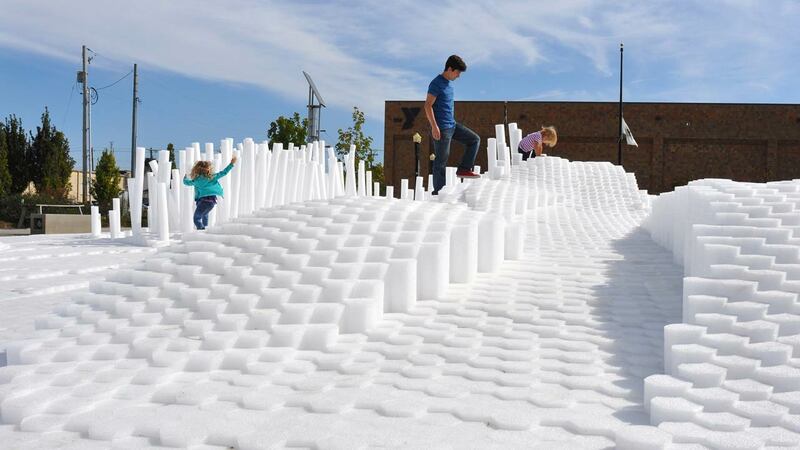 SoftMatter was a temporary event space that encourages active engagement. It invokes notions of playfulness and discovery, due to its materiality and form. The cascading landscape allows for multiple functions as users discover ways of interaction: running, climbing, jumping, sitting, and watching. The soft surfaces provide users with a unique tactile experience and encourage movement throughout the space. 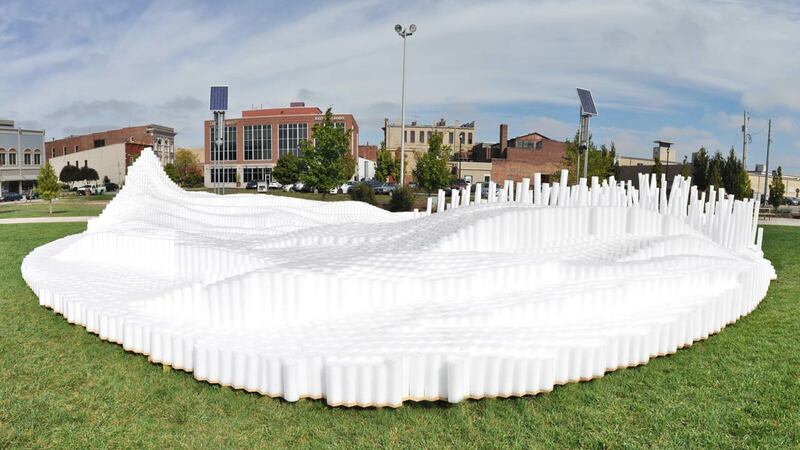 This project was commissioned for the city’s annual Arts Walk as a temporary active event space. 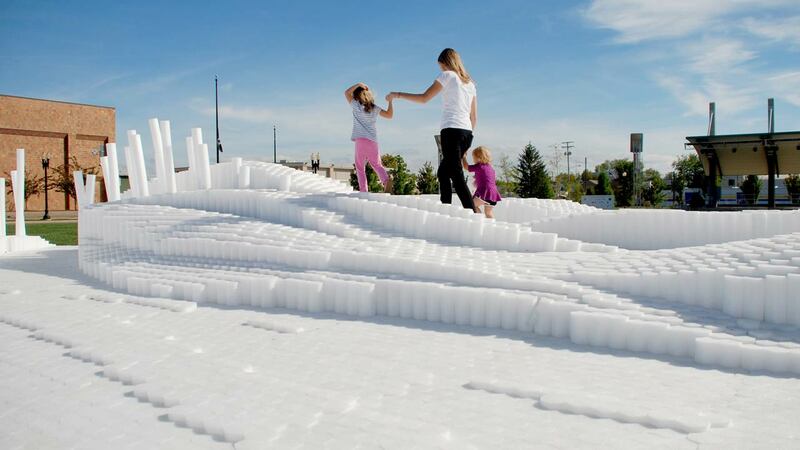 Our goal was to appeal to a wide demographic, and for visitors to spatially experience the cascading landscape. The piece does not have a single specific function, rather it allows for discovering ways of interaction. 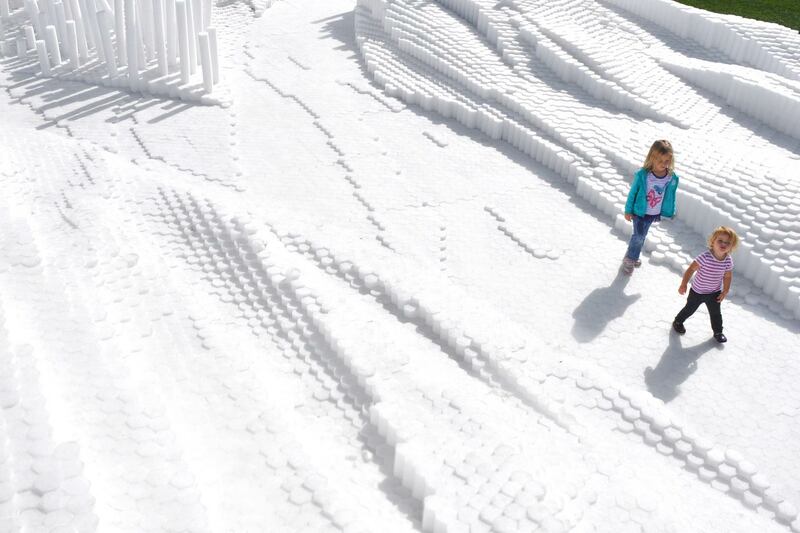 Materially, we utilized over 20,000 custom-made extruded polyethylene foam rods (the same material as a pool noodle). They were cut to prescribed variable lengths, creating the undulating surfaces, and mounted to 150 structural wood decks. They are, durable, safe, cheap, lightweight, and can be manipulated into a variety of forms. The extrusions could be clustered, stacked, etc. to create many configuration options. 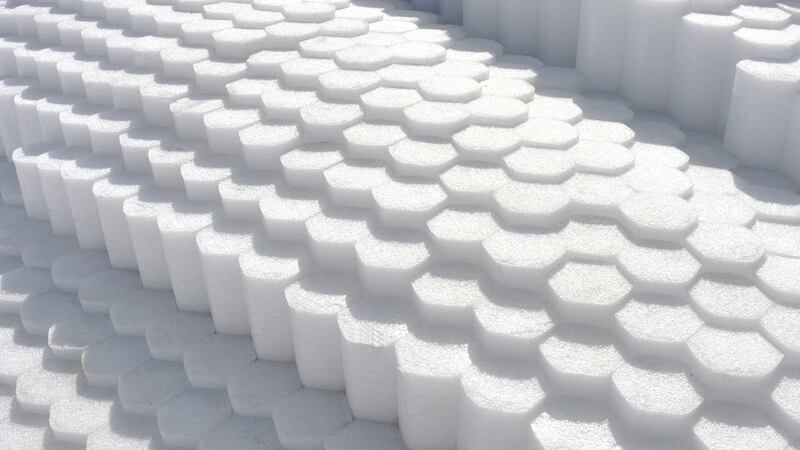 Due to their low cost, we had the opportunity to aggregate them in large quantities to create a very impactful installation that could be engaged at multiple scales. Formally the large undulating landscape provides a variety of interaction zones. The project encourages climbing, jumping, running, while providing ample seating and areas to relax.